This was my first independent project I made when I was learning how to use the program Tableau. 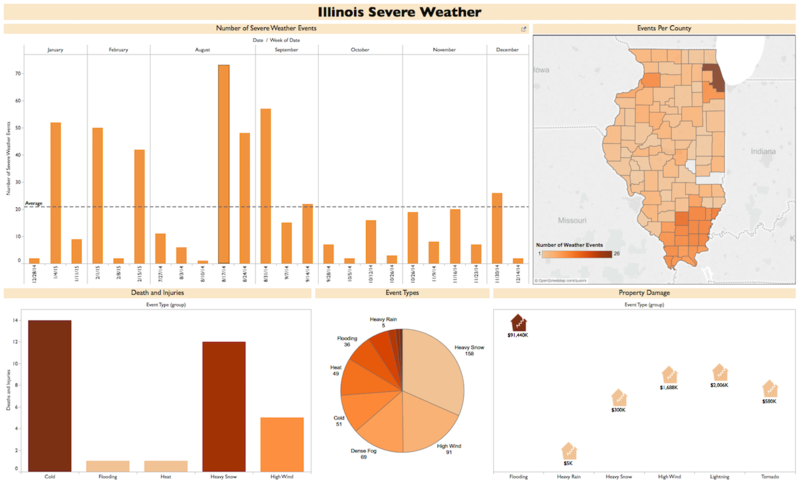 I wanted to use Weather due to the information being readily available and the inclusion of location that would allow me to make a map in Tableau. This page shows what I am able to do with a basic Tableau format.